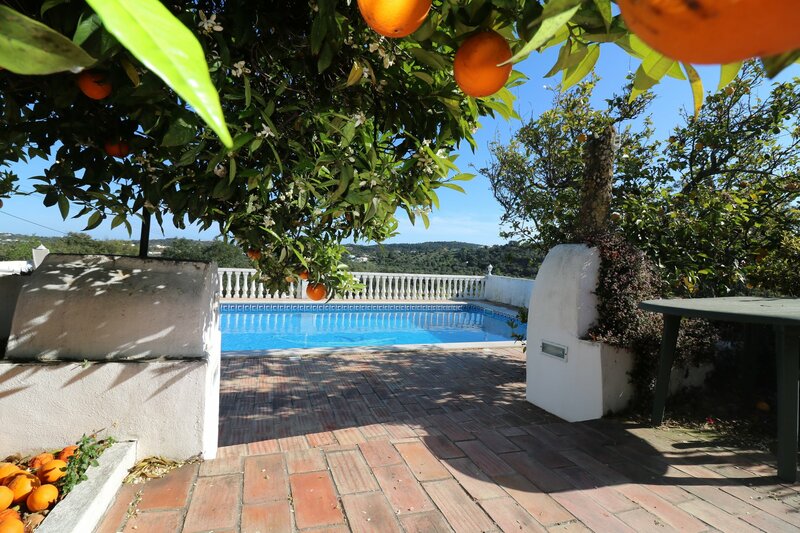 Lovely 4 bedroom detached south facing, rustic property with additional 1 bedroom self-contained annexe with swimming pool and terrace in a picturesque village with wonderful country views, located just outside Sao Bras de Alportel. From the lovely terrace overlooking the side garden the property you enter the property into spacious reception/dining room with fitted kitchen off. The dining room opens into a hallway with steps down to an original feature internal bread oven, family bathroom and a double bedroom. There is a further bedroom along the hallway and steps down to a living room with fire place and with access to a further 2 south facing double bedrooms (1 en-suite) with windows over looking the terrace and the swimming pool. A glass door leads from the lounge to a wide terrace overlooking the pool and the gorgeous country views. Outside: The property is accessed from a tarmac road which leads to a parking area. 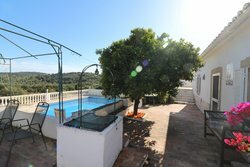 The property is fully fenced and walled with mature gardens to the side which lead to the one-bedroom annex on the ground floor and steps to the pool terrace on the upper ground floor which access the main house. 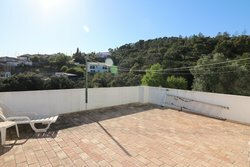 To the side of the property you have an additional large roof terrace over the apartment and to the rear of the property you have additional storage area and mature gardens. Very easy to maintain garden and pool.